Dr. Andrew Macina graduated from Georgetown University with a Bachelor of Science degree in 1972 and received his Medical Degree in 1978 from the University of Rome School of Medicine – LaSapienza in Rome, Italy. He completed his Medical Residency in Internal Medicine at St. Luke’s – Roosevelt Hospital in 1981 and then went on to complete his Fellowship in Cardiology at Dartmouth Hitchcock Medical Center in 1984. Dr. Macina is board certified from the American Board of Internal Medicine, and the American Board of Internal Medicine Subspecialty Cardiovascular Disease. He is a Fellow of the American College of Cardiology and also a Fellow of the Society for Cardiac Angiography and Interventions. 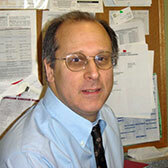 He is on staff at Albany Medical Center Hospital and St. Peter’s Hospital in Albany, NY.